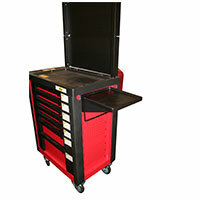 Short on space but need somewhere to store your tools? 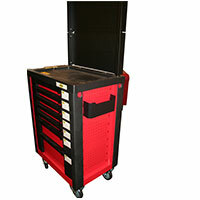 A tool storage panel is the ideal solution. 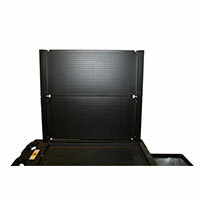 Browse our range of tool storage panels below, and keep your workspace neat and tidy. Part of successfully working on a vehicle lies in how organised the space you work in is. When you’re busy replacing a part or conducting tasks that require precision, it’s essential that your space is tidy and you have quick and easy access to all the tools you need. That’s where a tool storage panel comes in very handy. Attaching to your workshop or garage wall, you needn’t worry about taking up precious work space with these devices, nor compromise the organisation of your tools. You can choose to attach trays for the easy storage or smaller items, or hang your most essential tools on them in order to make sure they’re always accessible. Keep your space neat and tidy with a tool storage panel from Euro Car Parts - order today and benefit from our free UK delivery service, or collect your panel from one of over 200 branches nationwide with our free click and collect service.